this worksheet includes a brief description of the use of the comparative form and it also includes some activities. i hope you like it! This printable, downloadable handout is best suited for high school students at Pre-intermediate (A2) level. 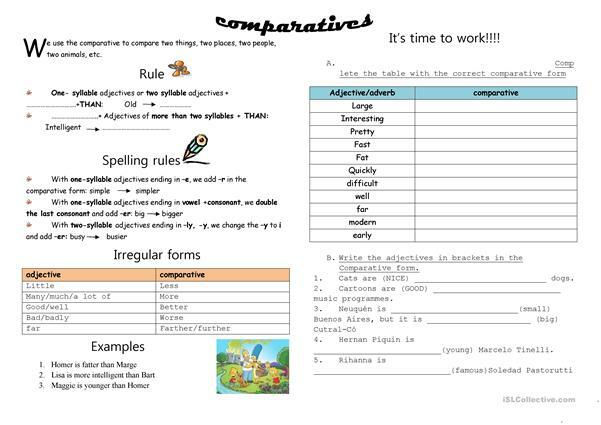 It is a useful material for teaching Comparison (comparative and superlative) in English. 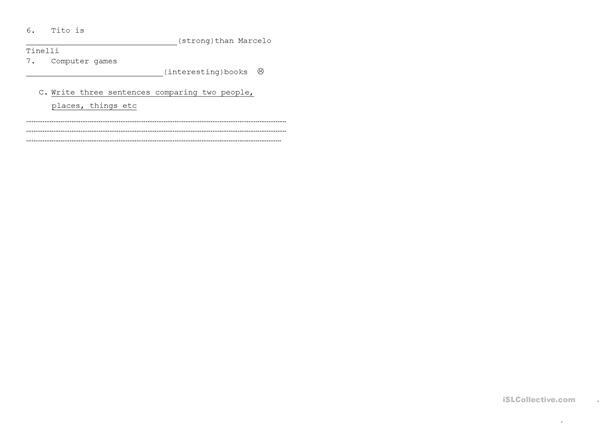 larylen is from/lives in Argentina and has been a member of iSLCollective since 2011-05-04 13:46:35. larylen last logged in on 2019-04-14 13:48:52, and has shared 2 resources on iSLCollective so far.